Claris is proud to announce that a photo and video exhibition will be hosted by the 2012 Hainan Rendez-vous, April 5th to 8th in China. The subject of this exhibition is "Lifestyle and onboard living yachts, super yachts and mega yachts". 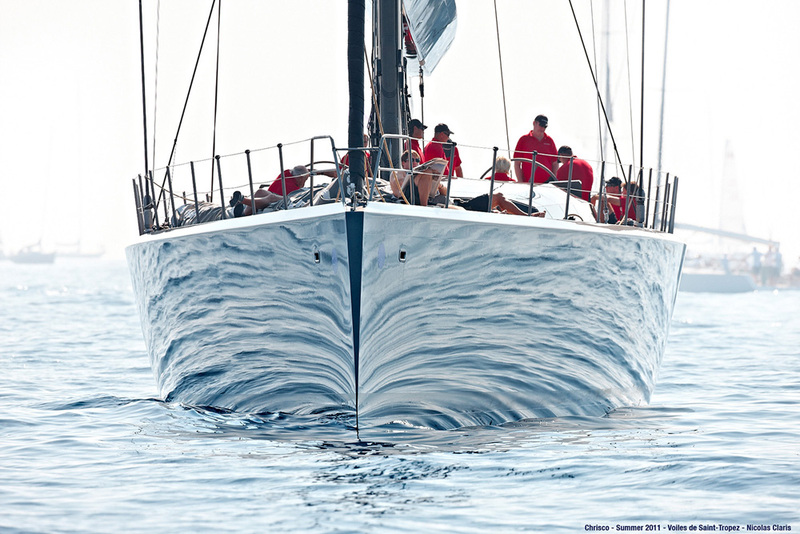 Both in video and stills, the Claris exhibition will highlight and reveal the hidden face of yachting, the one that is taking place out of sight of the public. This is an up-scale luxury lifestyle exhibition targeted to the emerging market in China. Hainan Rendez vous pulls out all the stops for a one-of-a-kind celebration of glamour and luxury. It firmly established China as the world´s next leading luxury market and made the Hainan Rendez Vous the best event in China and Asia for the viewing and purchasing of exclusive high-end goods and properties. This is great news and we are of course very proud of you. I am sure that your pictures and Romain's films will make a great impact on the visitors. Hopefully, new business deals will follow. By now, it has become an annual tradition for Bart and me to visit you at Boot Messe in Dusseldorf. I am afraid that this time we may have to take a rain check, lol. Of course we all want to be there with you to celebrate! Except for Anna Lee, most of us will have to toast you from afar. Will you have to design a whole new booth? We'd love to see what pictures you choose. For sure, the Yacht club is one of the most luxurious in the word. You will have no shortage of amenities. I think it has the Guiness book of records in spas! Here's as taste of the wealth and opulence! For sure there are many opportunities for business. You might consider a mailing to Chinese Yachters and builders well ahead of the show. Re Dusseldorf, I'll come again in 2012 but as a visitor (we'll be on the same level! LoL). Depending of where you leave, I'm afraid that getting to Hainan may cost a lot more than the entrance fee! LoL! China is a so large country! If you really want to come, let me know so we can welcome you and be our guest. This time we don't have a booth, not even a stand but a whole real and large exhibition! This is simply amazing! Isn't this boat the Chrisco? Only she can be so mesmerizing with her hitech hull. Anna is just 2 hrs flight from the island! You will enjoy meeting her for sure! Now you have to give us the details so we can dream and maybe even plan too. No promise but I'd love to photograph in China. I've been wondering when I'm going to do that! Congratulations Nicolas! That's so wonderful. We're all so proud of you! Thanks Nicolas, it will cost about $180 by flight from where i live to Hainan, in most cases the airline tickets have discount. Maybe i will go there for a vacation at that time of next year and visit your exhibition, but i'm not sure now, LOL! Maybe i will go there for a vacation at that time of next year and visit your exhibition, but i'm not sure now, LOL! Please keep me updated about your plans! Some infos : I have post several photos of this boat here in OPF! I am still so impressed!